I love knitting. I love the relaxing nature of the knitting process, I love the amazing range of patterns that are available, I love the incredible wool, alpaca and other fibres available, the colours, well, everything really! Ok, maybe not un-ravelling… I also love that it’s a craft that has been around for quite a while and is still going strong. It’s not as old as spinning and weaving – maybe only 1200 years – but hey, that’s not a bad effort in my books. I started to learn to knit back when I was a wee tacker. I was lucky to have grandmothers and aunties who knitted and took the time to show me how it’s done. I remember knitting my first scarf – made with ‘lace’ (i.e. holes from dropped stitches!). Over the years I have become less impatient to finish a garment and better at perfecting the technique and getting it right. Quite zen really. My latest project has been a big one. 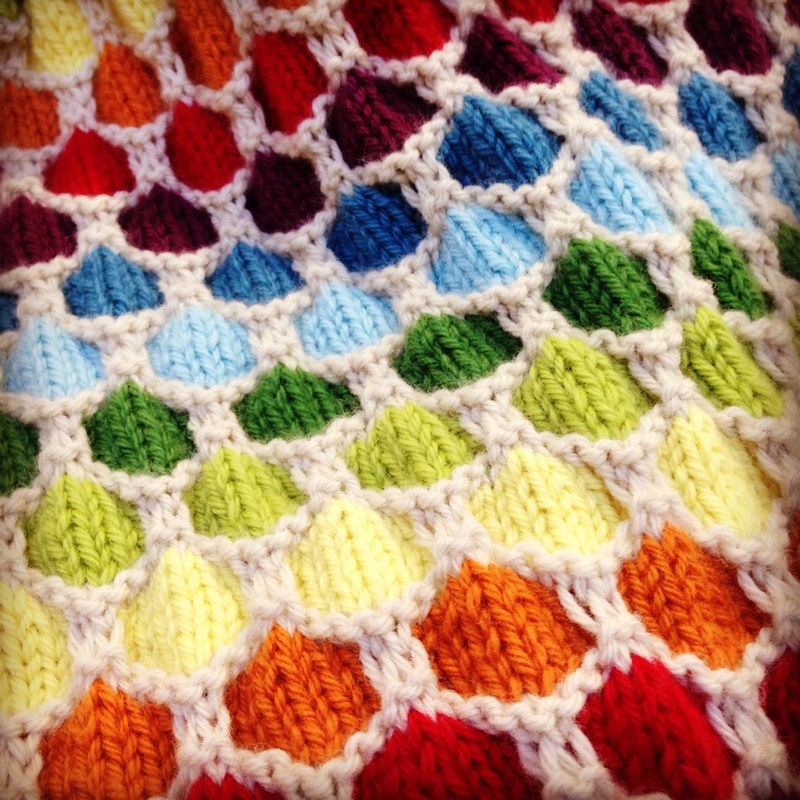 I’ve been knitting a rainbow-striped blanket with a gorgeous honeycomb pattern. It looks effective either made with many different colours, or only two colours. And would you believe, it’s quite an easy pattern to knit as it only involves plain and purl with no complicated stitches. I used this pattern as my inspiration, using smaller needles and adjusted the number of stitches to make a cot-sized blanket. I used the beautiful WOOLganic brand ofAustralian Organic Merino Wool. It is super-soft and superb to knit with as it feels so soft on your hands. I’m still going on my project – only the ends to sew in, but it seems like an endless task! I’ll post some more pics here when I’ve finally finished. Tell me about your most ambitious crafting project? P.S. If you’d like to read more about the history of knitting, this website is a good starting point.